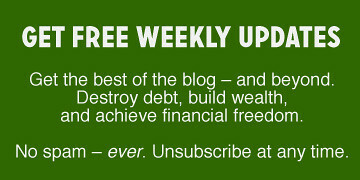 Today's “money story” is a guest post from Bob Clyatt, author of the outstanding Work Less, Live More, which is one of my favorite books about financial independence and early retirement. [My review.] It's an update on what his life has been like since moving to sem-retirement fifteen years ago. I had the good fortune to start a digital design firm in 1994. I sold it during the dot-com frenzy, leaving me with a bad case of burnout and full retirement accounts. It seemed like the right time to pull the plug, so in 2001 — at the age of 42 — I left full-time work. I embarked on a self-funded post-career lifestyle that wasn't quite retirement (at least not in the traditional sense). I chose to do part-time, work-like activity in order to stay challenged and engaged while also closing budget gaps. Five years later, I wrote Work Less, Live More, which popularized the notion of semi-retirement. So, I guess the big question is: Does semi-retirement work? What has it been like for me and my family? What lessons have I learned since embarking upon this path? The quick answer is: Yes, semi-retirement can and does work. The investing approach outlined in Work Less, Live More has sustained our spending since the day my wife and I quit work in early 2001. Our savings have allowed us to have part-time, low-paid (but intrinsically fun and meaningful jobs) at a time when the normal people in those jobs can’t actually make ends meet — and can't enjoy them as a result. My wife works ten or twenty hours a week in a large specialty women’s clothing store. Her job allows her to stay connected to her interests in fashion while spending time with a younger generation of women: her co-workers and managers. I've certainly had fifteen-hour days and eight-hour weeks in semi-retirement, but mostly I putter around in the morning before going to my studio after lunch. 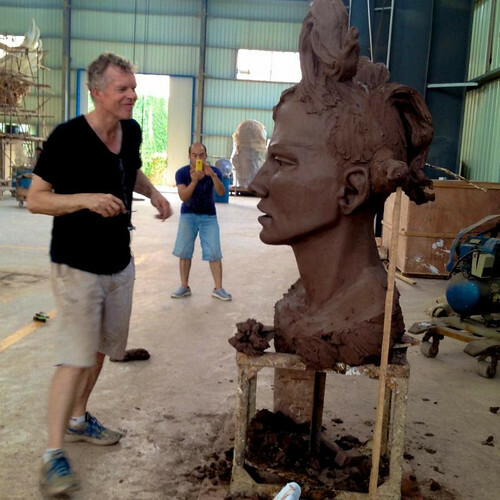 I spend an active afternoon sculpting. At night, I'm parked on the couch just like the rest of the country. In 1988's Cashing In on the American Dream, Paul Terhorst wrote about retiring at age 35. Although his aim was to show readers the path to early retirement, he also sang the praises of temporary retirement — retiring young with the idea that you might go back to work later in life. As I mentioned a few days ago in my article on the five types of retirement there's another way to mix work with financial independence. In Work Less, Live More, Bob Clyatt makes the case for semi-retirement. In 2001, after 20 years of sustained high-pressure work, the last seven spent battling in the Internet wars, my wife Wonda and I chucked it in, mothballed our suits, rented a small summer house in Italy, and began our new lives as early retirees. But early retirement was no paradise for Clyatt and his wife. They were stressed, and their friends were stressed too. Did he really have enough money saved? What about the sluggish stock market? He began to question his assumptions: Had he made a terrible mistake? Ultimately, he realized the worst-case scenario wasn't so bad. He probably did have enough to stashed away to sustain his early retirement, but even if he didn't the downside was that he might have to do a little work. This realization allowed him to embrace the idea of semi-retirement. Semi-retirement — reclaiming a proper balance between life and work by leaving a full-time job — offers a way out of the madness of overwork. By reducing spending and switching to a pared-back but more satisfying lifestyle, less money goes out the door. Tapping into accumulated savings in a sensible way provides a steady annual income. Any shortfall can be filled with a modest amount of work, done in an entirely new state of mind: With less need to work for the largest paycheck possible, you can find low-stress work that you truly enjoy, on a schedule that gives you time to breathe. Figure out why you want to do this. Put your investing on autopilot. Do anything you want, but do something. As you probably already know, I'm a nerd. I'm such a nerd that during my spare time I like to read books about money. But more and more, regular personal-finance manuals aren't enough. I crave something nerdier! 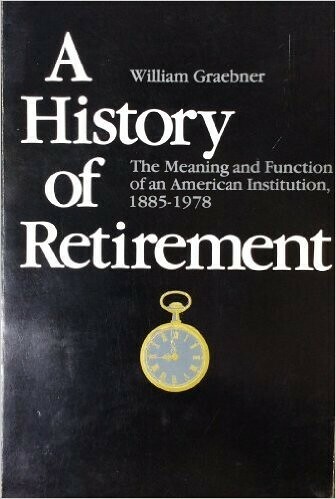 And so, I've begun to research the history of retirement. Right now, I have four or five books on my office desk that are all about the origins and evolution of retirement. Turns out, retirement wasn't always considered desirable (at least not for employees). In the olden days — back in the late 1800s — “mandatory retirement” caused a great deal of resentment among older workers and there was a popular backlash against it. People wanted to keep working, but as big corporations rose to prominence and power, they pushed for a younger workforce. I haven't really read enough about the history of retirement to write intelligently on the subject, but I wanted to share a quick observation on the nature of retirement in 2018. By the 1970s and 1980s, standards of living had risen enough that some folks began to challenge traditional assumptions, even embraced the idea of leaving the workplace. This “better way” turned out to be early retirement. These brave pioneers ran the numbers and demonstrated what would have been an impossibility just a few decades before. If you worked hard to increase your income while simultaneously striving to keep costs low, it was possible to save enough so that you can stop working at fifty. Or 45. Or forty. The key difference between early retirement and traditional retirement is your saving rate. The traditional retirement model requires a saving rate of 10% (or maybe 20%). The early retirement model requires you to save half your income — or more. 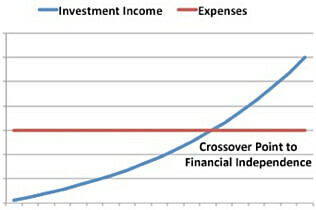 If you're diligent and build a wealth snowball, you'll eventually reach a “crossover point” (as described in the 1992 classic Your Money or Your Life): The income from your investments will be enough to support your spending. You'll have reached financial independence.